In honour of some of the bravest souls on this planet and raising awareness for this excruciating and equally mystifying condition, which is the reason this humble Tower began, November is the month of awareness for CRPS and NERVEmber, International Nerve Pain Awareness Month. 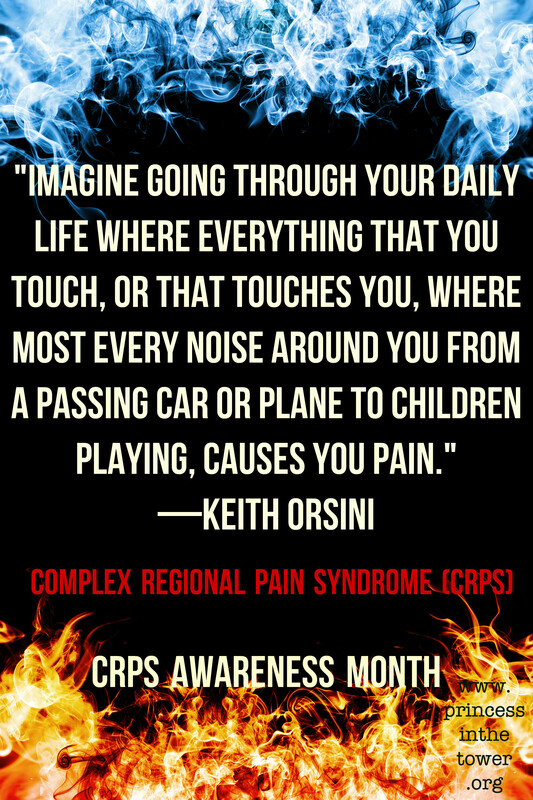 If you live with CRPS see: How to Manage & Treat Complex Regional Pain Syndrome, also see this open letter to those without CRPS & more info on CRPS here. Scroll down for the many ways you can get involved and help and spread awareness for NERVEmber – iPain Foundation and Complex Regional Pain Syndrome (CRPS) but first, to raise awareness of what it is to live with CRPS, here’s a guest post by CRPS warrior-advocate, Anna Evenosky. One day, you are just like everyone else, happy and free. You are no more at risk to chronic illness than the people around you and you have no idea how easily you can become affected by it. You live day to day without a worry in the world until some small injury, surgery, or even something as small as a spider bite, turns your world upside down. The pain leaves you baffled for days, weeks, months, more likely than not, years, as you are thrown between different doctors and specialists with no answers. As the days go by, the pain worsens, leaving you on crutches, in a wheelchair, completely disabled, and often bedridden. Still no answers; and now a lot more is on your plate than pain alone. “You have Complex Regional Pain Syndrome (CRPS), otherwise known as Reflex Sympathetic Dystrophy (RSD).” Your doctor enlightens you. First you’re thinking, What the heck is that? Then, after being told that it’s chronic and there is no cure, chances are you are bursting into tears. Once again, this is just the beginning. Just when you thought this doctor would be your saving grace, you’re thrown into a life of undergoing treatments…many with risks, that are not covered by insurance, and don’t guarantee you your life back. Since you’re hopeless and feel that the quality of your life with chronic pain will not be a good one, you do whatever it takes. Complex Regional Pain Syndrome (CRPS) and Reflex Sympathetic Dystrophy (RSD) is when your nervous system never stops sending pain signals. Your nervous system works by pain signals being sent from your brain, down your spinal cord, and out to the source of pain. With CRPS/RSD that injury, spider bite, surgery, or whatever the case may be is healed, yet due to an abnormal reflex developed in your spinal cord, the signals get caught up and never stop sending, leaving your nervous system hyperactive. 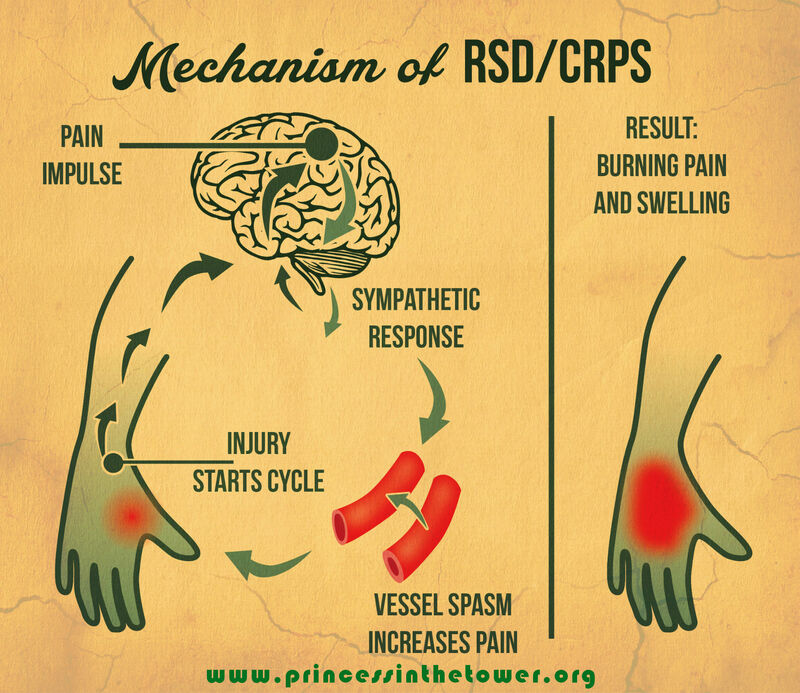 Overall, CRPS/RSD is a malfunction of ones Autonomic Nervous System. Many may hear that I’m in pain every day, hour, minute, second, but I feel that the constant burning, cutting, stabbing, and throbbing sensation that I feel doesn’t completely sink in for many. Please allow me to enlighten you. Below is the McGill pain scale which is a rigorously tested pain scale by scientists. 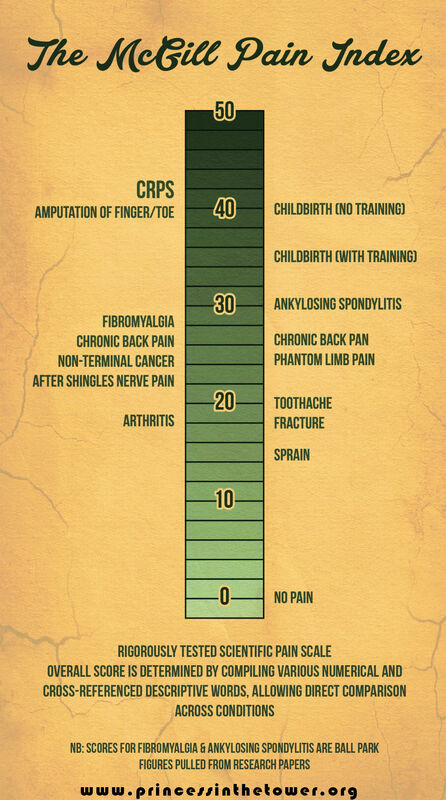 Notice that CRPS is rated as the worst pain known to man. Now try your very best to imagine that level of pain not for a split second but constantly, meaning every second of your life. On top of pain, we are faced with several side effects that can consist but are not limited to: temperature and colour changes of the affected limb, headaches, fatigue, nausea, sensitivity to touch, pain from innocuous stimuli (sound, vibration, light), involuntary muscle movements, depression, stiffness, brain fog etc. I know an outsider may look at those affected and think they can’t possibly be in that much pain and go about their life and appear as well as they do. I’m here to inform you that, yes, we can, and myself along with others are living proof of this. We are fighters, we are warriors. 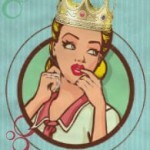 It’s our reality and our norm, so we figure, why sit around and mope about it? That would do us no good and leave us more depressed than we already are. Having CRPS/RSD really proves to you that sometimes the best thing you can do for yourself is make the best out of the life you were given to live. It’s not an easy task so next time instead of not believing someone affected, tell them how much you look up to them because they are one hell of a person to fight this fight every day. Although I’m showing you the ugly side to this illness, not everyone exhibits visible signs of pain and suffering. 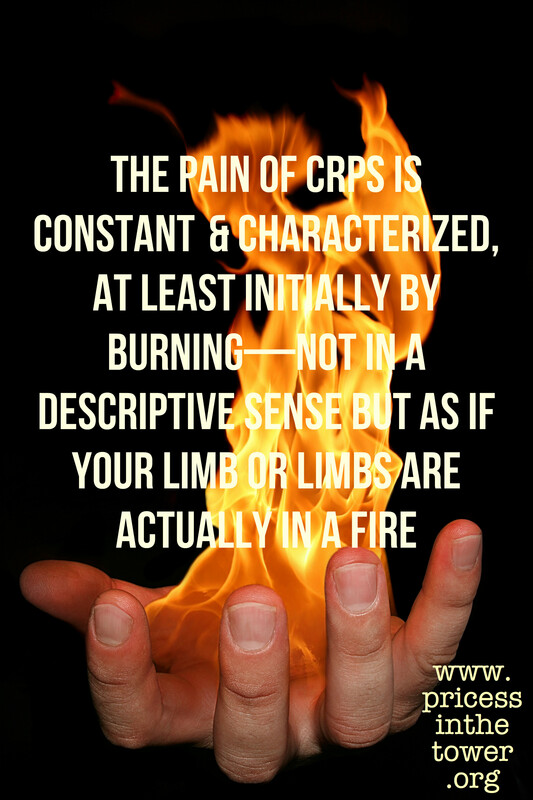 However, we all suffer from similar hardships due to the many side effects that come as “baggage” with CRPS. Let me highlight a few of the ways this beast affects us in our daily life. In the morning, we wake up to a body of aches and pains and fatigue so bad we feel like a bobble head. We rally up our strength to get out of bed and make our way downstairs to eat breakfast, but, as effortless as breakfast should be, it leaves many of us extremely weak. Then, as we are headed up the stairs to go get cleaned up, we fall down the stairs due to our body giving out on us. No worries, that is just more pain and some possible injuries, but we are tough, after all. We go to take a shower and the water hitting our skin feels like a mixture of boiling water and needles being thrown at our skin. We get dressed, and in the process turn our room upside down in hopes of finding an outfit that is bearable to wear and doesn’t feel like razor blades cutting our skin. On the way out the door, we go to take a sip of water but due to the involuntary muscle movements end up wearing it. We take on the rest of our day in a similar fashion. At the end of the day, we crawl into bed, our only wish to get a good night sleep, but end up with our limbs hanging off the side of out bed in hopes of escaping the excruciating pain from our bed sheets touching them. We are left up for hours on end, most likely crying for the pain to stop so we can get some rest, and many are praying that they won’t wake up in the morning to avoid doing it all over again. Just as you can imagine, a life like this is depressing. Therefore, many of those affected suffer from moderate to severe depression, yet you rarely see them without a smile on their face. 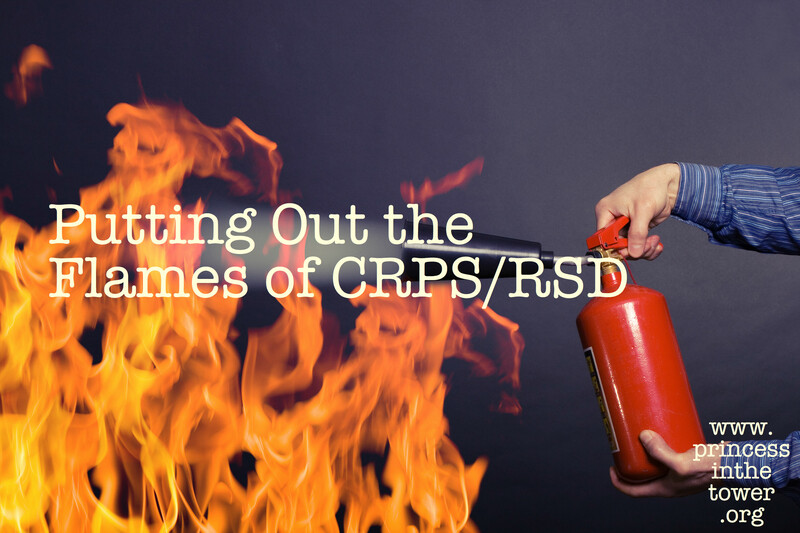 The complications and problems associated with CRPS/RSD go beyond depression, though. 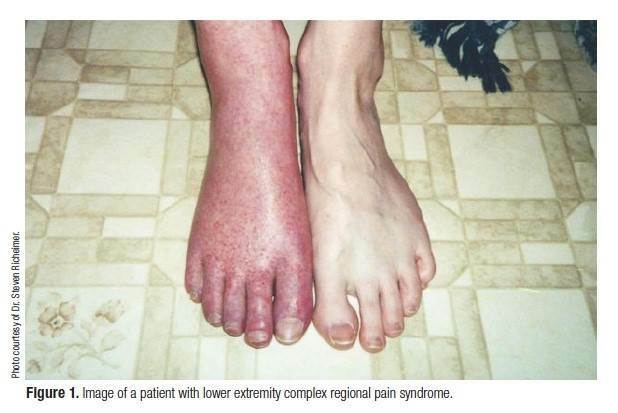 Many sufferers have been diagnosed with other illnesses after their diagnosis of CRPS/RSD. Several of those illnesses being associated with the Autonomic Nervous System as well, such as Postural Orthostatic Tachycardia Syndrome (POTS) to name one. Nothing is proven and guaranteed to help this excruciating pain. The pain does not respond to medications, even things as strong as morphine. As earlier mentioned, there are treatments available but many are not covered by insurance and have several serious side effects. 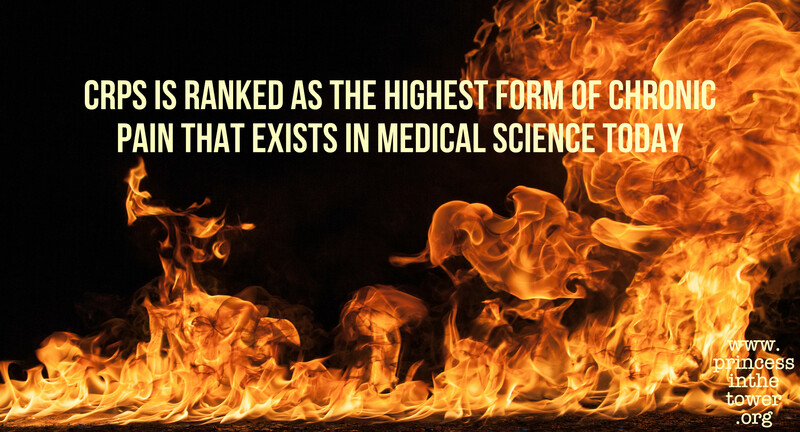 Several doctors are not even aware and educated on what CRPS/RSD is. This leaves sufferers with close to no hope and no options. CRPS/RSD has been nicknamed the suicide disease due to the intensity of the pain leading many to death. Please utilize this article as a way to educate others and get the word out there that CRPS/RSD is very real and debilitating. Nobody deserves to suffer from it and I wouldn’t wish it on my worst enemy. Disclaimer: Some of this content may be sensitive to some and hard to read. I’m not a medical professional and nothing in this article should be seen or taken as medical advice. Anna Evenosky lives with complex regional pain syndrome, postural orthostatic tachycardia syndrome, anxiety, depression and other chronic illnesses. They have only made her stronger and she feels it is very important to make the most out of the life we are given to live! Read more of Anna’s writing on The Mighty, The Oddessy and other sites to support and advocate for CRPS, invisible illness and chronic pain. #NERVEmber is International Nerve Pain Awareness Month (including RSD, CRPS, Neuropathy and more). Each day during the month of #NERVEmber the iPain (@powerofpain) will offer an awareness task for each of us. During November, the International Pain Foundation’s #NERVEmber project is also supporting the #CRPSdayofaction, #RSDdayofaction, @theproject3x5’s #OrangeInitiative, A voice for the people with CRPS – CRPS RSD Australian Network, United in the Fight for CRPS Awareness, #ColourTheWorldOrange. There are many ways you can get involved with this month of raising awareness, from sharing a photo of you proudly wearing orange and posting info on CRPS on social media to contacting your local MP or Council to let them know about Complex Regional Pain Syndrome (CRPS), the urgent need for early diagnosis and treatment, and how it affects you and your life. This year @powerofpain are also giving away prizes available for everyone who registers to participate and uses the hashtags, complete tasks, host or attend an event. The more you participate, the more chances you have to win and crucially, the greater our united impact. See more on their website here and https://powerofpain.org/wp-content/uploads/2016/09/NERVEmber-infopack-Revised-9-11-2016.pdfdownload this info PDf. Colour The World Orange Day™ is an annual event held on the 1st Monday of November to spread awareness of Complex Regional Pain Syndrome (CRPS). For more information about the Colour The World Orange Day ™ please visit the organisers’ website, for the 2016 Press Release, the Colour The World Orange Day ™ pamphlet and sign, and information on how to raise awareness. To learn more about CRPS visit this regularly updated info page and also see this guide to managing and treating CRPS/RSD. You may also enjoy: What is CRPS? or like to buy some of Burning Night’s CRPS leaflets to give to your Doctor’s surgery or local hospital (with their permission). If you would like to help those affected, donate, or learn more about CRPS/RSD please visit the RSDSA’s homepage. If you would like to do any fundraising activities or events during November; CRPS awareness month, or at any other time, you can also contact Burning Nights. There are some great ideas on how to raise money in their Fundraising Ideas & Tips page! Don’t forget to post your pics of you and your family and friends wearing orange using the hashtags: #NERVEmber #CRPSdayofaction, #RSDdayofaction #OrangeInitiative #ColorTheWorldOrange #CRPSorangeday on social media.